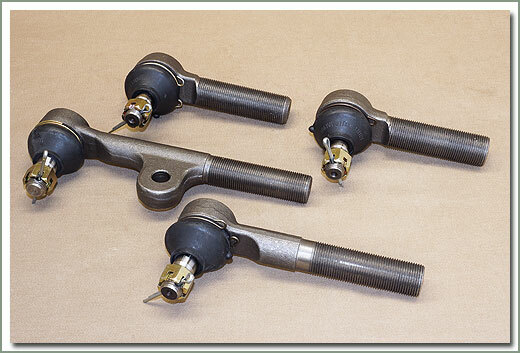 FJ80's have two tie rod assemblies and therefore, four replaceable tie rod ends. The use of lift kits, larger and wider (than stock) rims and tires cause tie rod ends wear quicker. 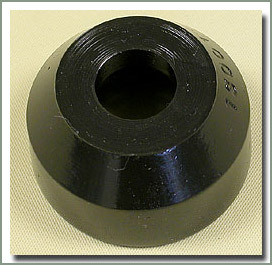 The construction of the tie rod ends/drag link as shown in diagrams on page 094b, shows a spring loaded ball and socket. As the spring loses its tension, the ball becomes loose in the socket, thus accelerating the wear factor. Bad dust boots, let dirt and grime in and the grease out, further shortening the life of the tie rod end and replacement of the tie rod end becomes necessary. Specter Off-Road's replacement tie rod ends are complete with OEM style boots, rings, nut zerk fitting and cotter pin. 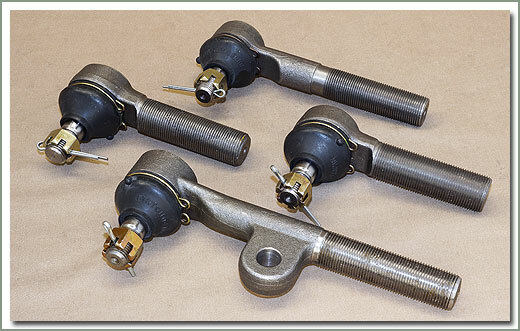 Specter now offers you a variety of tie rod end boots. For those out there who do not need to replace your tie rod ends, but do find the boots to be destroyed you now have the choice of colors, styles, and price. 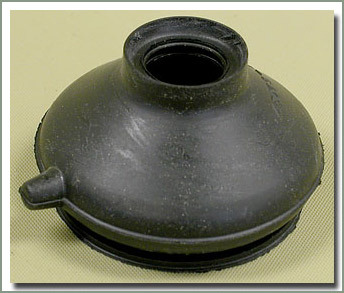 #094-05 - Original equipment manufactured by TOYOTA. 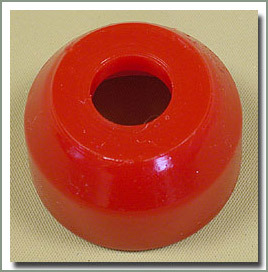 #094-05-A - Aftermarket tie rod dust boot is the same fit as OEM at a reduced price.#094-05-AP - Polyurethane boots do not use factory tie rod boot ring as in O.E.M. 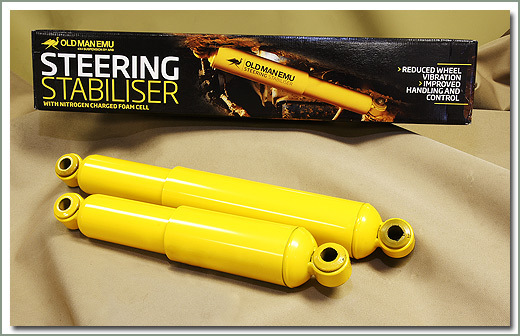 They are press fit and long lasting at an attractive price. Available in Black (B), and Red (R). How much is your time worth? 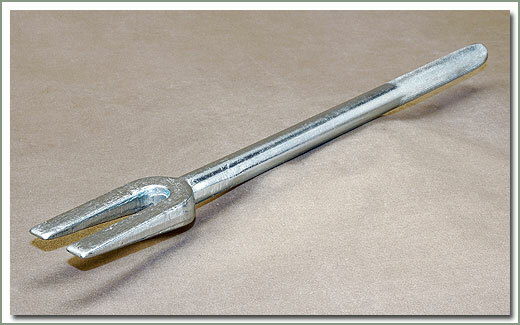 A Pickle Fork is an essential tool for Tie Rod End replacement. It will save you time. 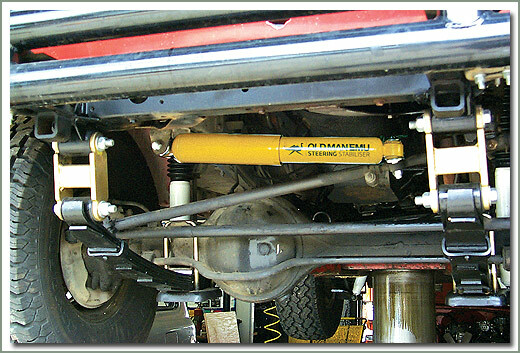 Old Man Emu Steering Stabilizer is a direct replacement for the original equipment stabilizer. Bolts to the stock brackets. 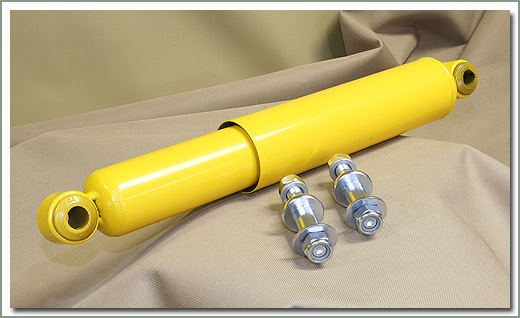 The OME unit is a twin tube design with a large diameter piston rod for more durability. Incorporates 9 stage valving for optimum performance in any terrain.